If I say “France”, what comes to your mind? Definitely Paris and the Eiffel Tower. And then the Champs-Élysées, the romantic foreshortenings, the unforgettable and unique lanes of the Rive Gauche. And the French cuisine! Pastel-coloured macarons and a thousand, tasty local specialities. In addition to all this, I’m also thinking about the crazy and exciting days of the Couture Week: a bunch of days in which the eyes of the world are totally focused on Paris, the capital of France and of the most elegant and sophisticated fashion. During the latest edition of the fashion week, I wore the creations of Yves Salomon, one of the most famous fur brands of France. The timeless and at the same time super trendy class of Yves Salomon has attracted the attention of many. And it is precise because of such a beautiful balance that I immediately fell in love with this brand, which I then chose to wear specifically for this occasion. Everytime that I can, I always choose to wear local talents’ creations, whenever I happen to join some important event. Supporting creativity is one of my most important commitments, indeed, I would say my favourite. I believe that giving visibility to these talents is essential to spread the knowledge of brands and companies that are so committed to giving life to beautiful and innovative things at the same time. Besides that, I love so much browsing the photo galleries dedicated to street style. They always provide me with lots of creative ideas. It was therefore fantastic to be photographed by fashion magazines such as Buro247 and Vogue.ua. Or Grazia Qatar and on the Saga Furs Instagram profile. Being featured in one of those photo galleries is always fun and also such a great satisfaction (as well as a wonderful memory of those special days). But I want to tell you a bit more about the history of this beautiful brand. Because it is thanks to the study of the roots and origins of a brand that it is possible to understand and fully appreciate its value – as well as its beauty! In 1972 Yves Salomon, a Parisian designer of Russian descent, decided to follow in the footsteps of his father and grandfather and took the reins of the family fashion house. During the ’80s, Yves Salomon worked with the likes of Nina Ricci and Azzedine Alaïa, before launching his eponymous line in 1980. Always committed to creating pieces of the highest quality, this prestigious French company, which has been producing creative yet elegant fur garments for more thirty years, is now led by the son of Yves Salomon, Thomas. Their creations are mostly jackets and coats that mix urban touch with a luxurious feel. Contemporary cuts and leather processing techniques that have been handed down for generations. I love this mix of history and modernity. 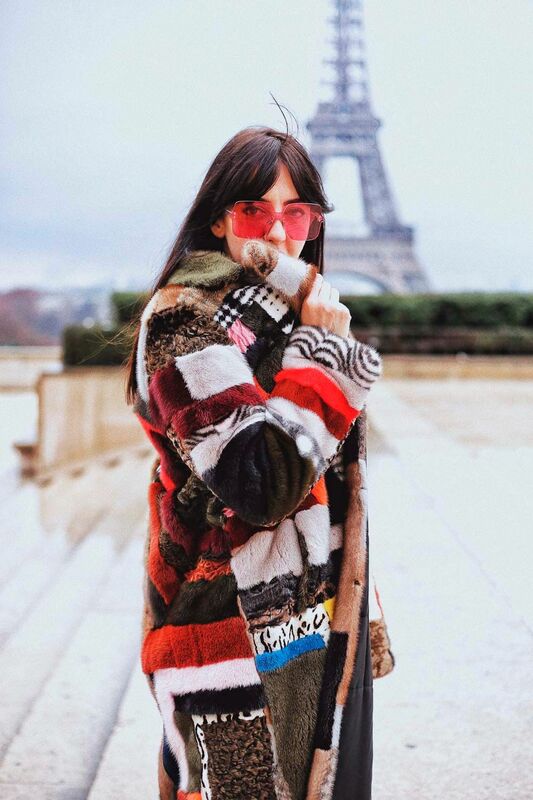 For the Paris Couture Week, I chose to wear a Yves Salomon patchwork coat. Long almost to the feet, very warm, cosy, coloured. 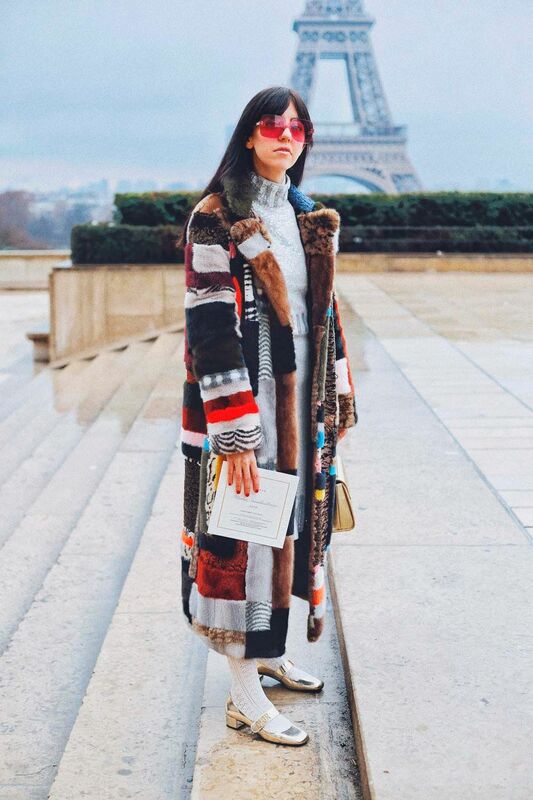 An incredible item and an excellent solution to face the cold days in Paris with a unique style that has not gone unnoticed. But there’s more. The latest collection by Yves Salomon (“Army”) introduces a new generation of parka – a jacket that I love and that has recently conquered the street style catwalks. I love all the creations of this extraordinary French brand. With its latest collection, Yves Salomon has decided to expand its outerwear range with marvellous military parka lined in fine furs. This Parisian brand really has the incredible ability to know how to combine ancient traditions with a passion for innovation. A brand to watch out for. Surely in the coming seasons, it will amaze us again!